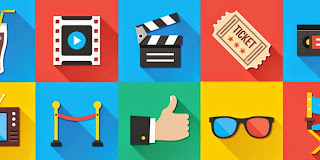 Happy to share an article from Mobile Entertainment Daily on a few facts suggesting a positive prognosis for the dynamic growth of mobile entertainment. Adult vertical as an integral part of mobile entertainment is undergoing the same pattern and we're seeing video views and time spent on mobile paysites and apps to continuously grow. And this growth means more monetization opportunities, so if you have mobile entertainment related traffic and wish to monetize it via the most efficient solutions, drop us a line!